Lot 15: Greek Italy. Etruria, Populonia. 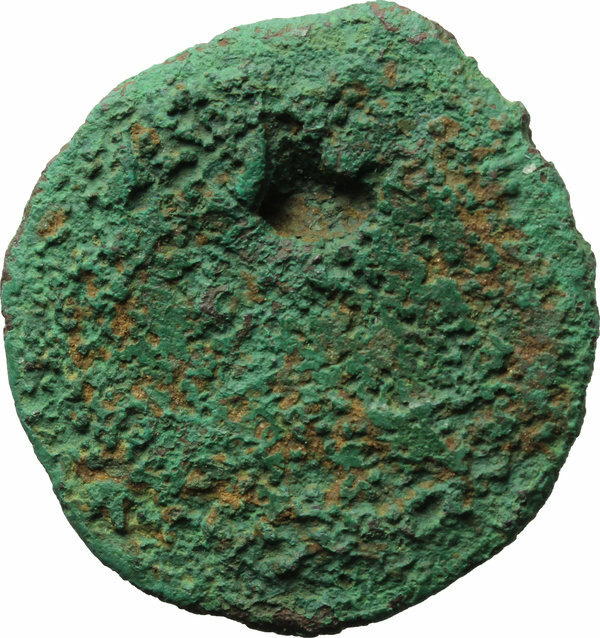 AE 100 Centesimae, 4th century BC. D/ Laureate head of Tinia right; behind )I(. Dotted border within laurel wreath. R/ [Incuse hippocamp right, border of waves]. 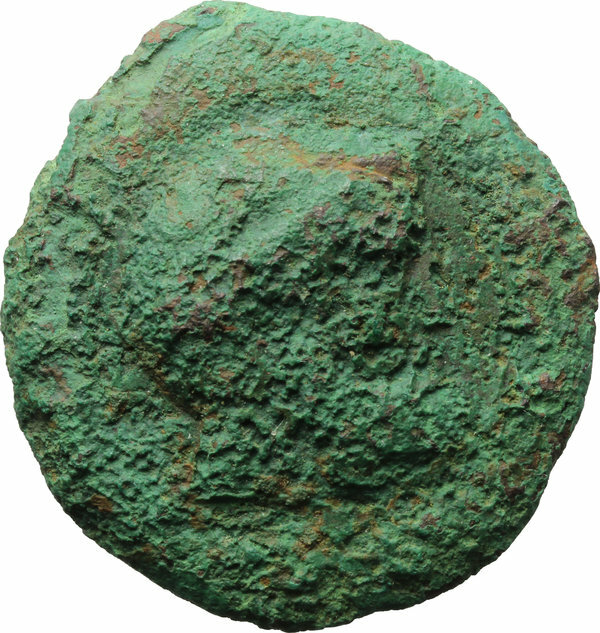 Vecchi EC I, 1-7 (O1/R1, Uncertain Central Etruria); HN Italy 76; HGC 158. AE. g. 36.68 mm. 40.00 RR. Very rare. Metal flaw on reverse. Heavy green deposits. VF/F.